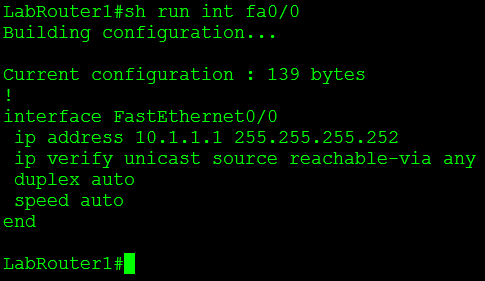 Unicast Reverse Path Forwarding uRPF | CCIE or Null! Cisco Express Forwarding – CEF « CCIE or Null! Great post ! This article helped to clarify a few items within in CCDA studies. Keep up the good work ! Thank you I’m glad to hear this helped you! ok, I would say the ACL example seems wrong. 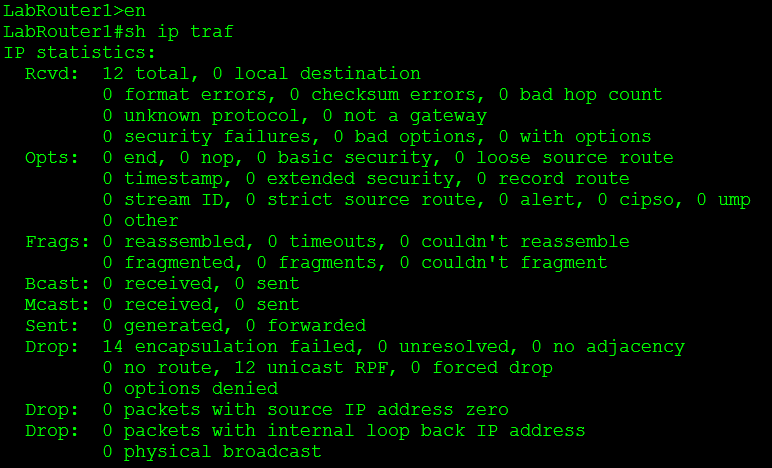 todo this , You use “deny” for DMVPN traffic. But in cisco document the meaning is opposite. 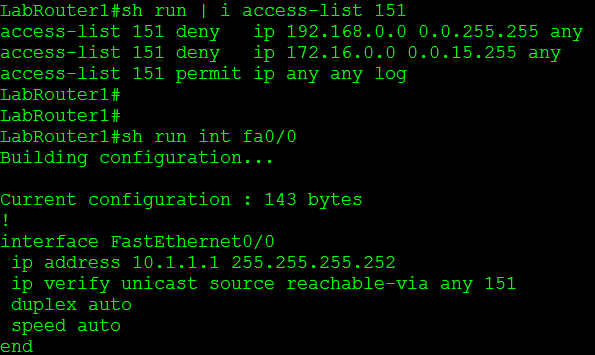 When you configure an access control list (ACL) and a packet fails the Unicast RPF check, the Unicast RPF checks the ACL to see if the packet should be dropped (by using a deny statement in the ACL) or forwarded(by using a permit statement in the ACL). Looks like you are correct. The config guide for 12.4 also says that same thing. It appears I need to re-lab that see what was really going on, along with updating the example in my blog post. I suppose that’s what I get for not cleaning out my configurations.